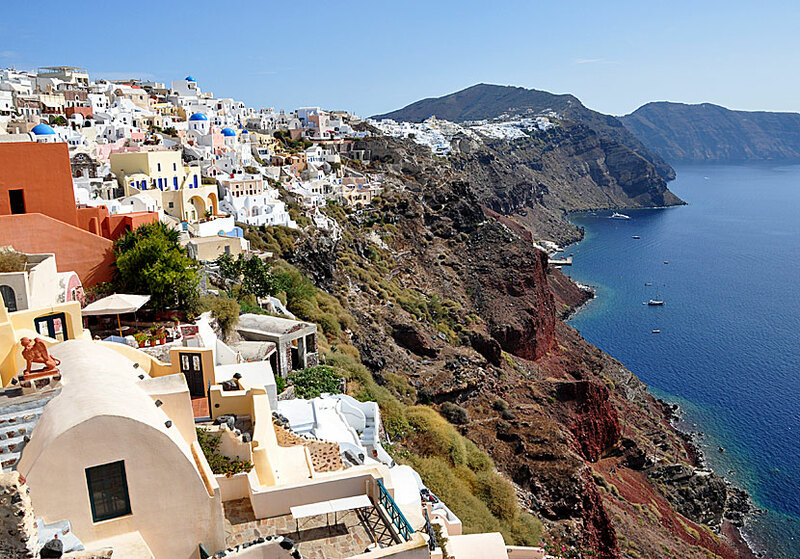 Hiking may not be the first thing you think of when you think of Santorini. But it's actually a very nice hiking island, despite the barren and treeless landscape. On a hike to Ancient Thira. Perissa down under. From Fira to Oia. A wonderful hike that mainly follows the cliff edge. From Pyrgos to Kamari. Awesome hike from the mountain top down to the coast. From Emborio to Kamari. 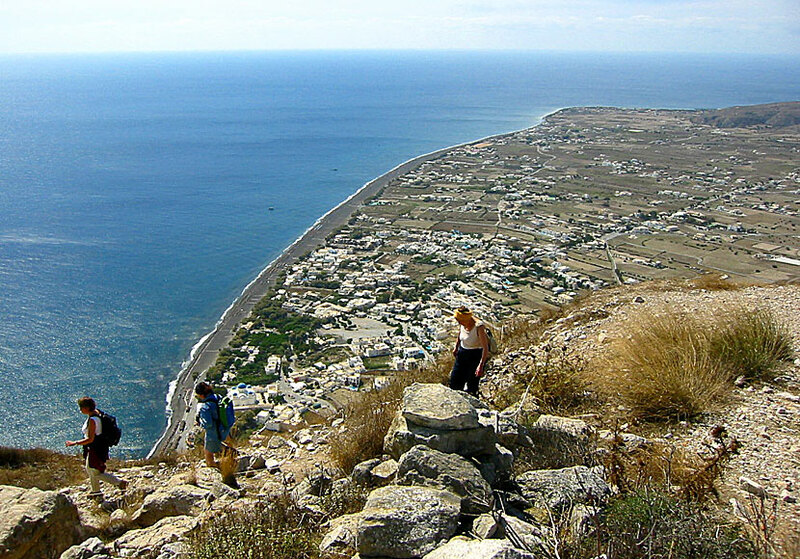 A hike where one pass by Ancient Thira. 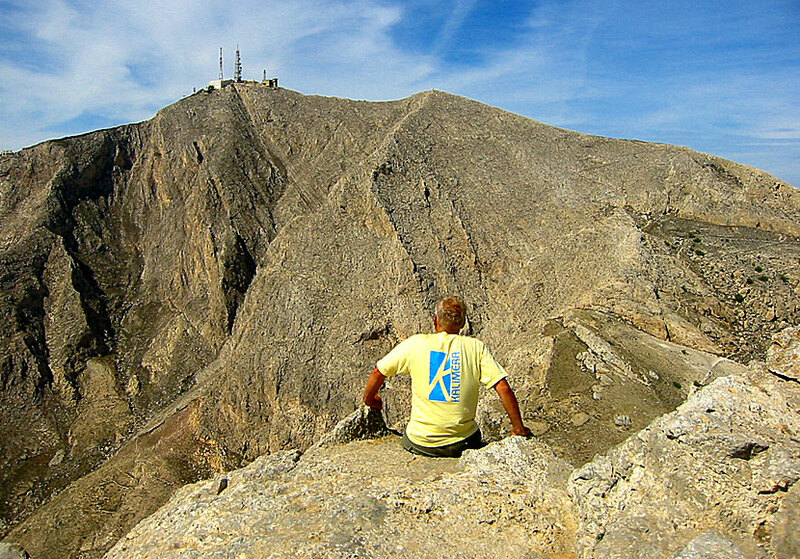 Hiking break under the mountain Profitis Elias (567 m) and is located above Pyrgos. If you are going to hike in Santorini, I recommend Anavasi's blue map (1:26,000) which describes a variety of hiking routes in Santorini, both easy and difficult. Terrain maps is another cartographic company specialized in hiking maps. They have a map of Santorini with the scale 1:25,000 and it also describes many hiking routes. Both maps are available for purchase at Santorini. A hike between Fira and Oia, or on the contrary, offers wonderful views. At the top right you will see Imerovigli, which is near Fira.